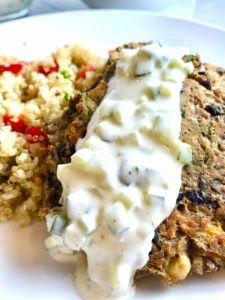 Garbanzo & Black Bean Cakes with a cool Cucumber Yogurt Sauce and a light and flavorful Lemon Quinoa Salad on the side is today’s YUMMY recipe! 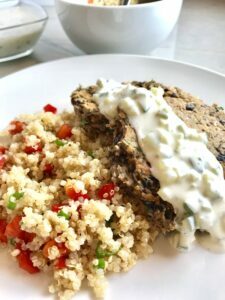 I love the contrast of warm food with a cool sauce and these bean cakes with cucumber yogurt sauce are just up my alley! 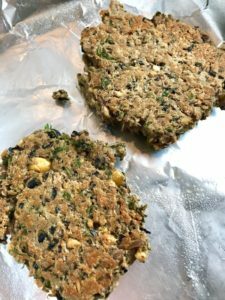 The cakes are loaded with Garbanzo Beans (Chickpeas) and Black Beans so you get this hearty texture that is crunchy on the outside and soft on the inside. 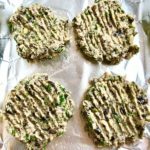 These cakes are baked rather than fried because I think you get just as much flavor without all the fat. But of course, you can fry them if you prefer. 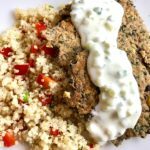 Combined with the tangy and cool yogurt sauce that gives you a touch of crunch from the cucumbers and freshness from the lemon zest, each bite is heaven! 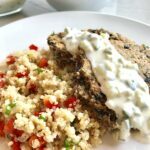 This lemony, cucumber yogurt sauce recipe is great with so many different foods too. 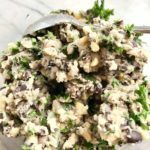 Top it on chicken, add it to salads, or dip pita with hummus into it…Yum! 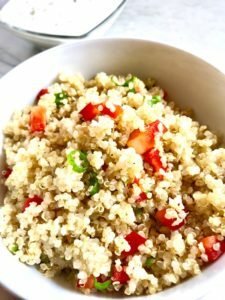 Finally the Quinoa Salad is light and fresh with a simple lemon dressing, fresh red pepper, and scallions for a peppery bite. 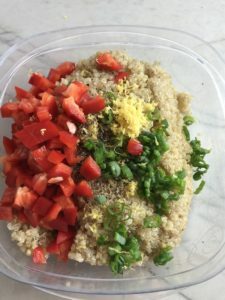 Amazing and good for you! 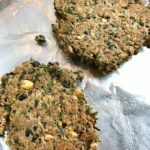 This dish is Vegetarian, but because of the flour used as a binder, it is not Gluten-Free. 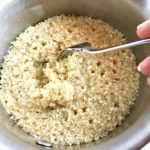 However, simply substitute the flour for a gluten-free alternative like almond flour, rice flour, or more parmesan cheese! 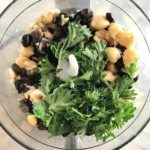 I hope you try this recipe and love it as much as I do! 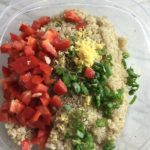 Next > Weekly Meal Plan: Quinoa, the Supergrain!